What is a floating kitchen? When you first hear the term ‘Floating Kitchen’, you may visualise levitating cupboards or the galleys of ships! But in reality, the ‘floating’ aspect of it is an illusion - it’s a way of mounting the cabinets on the walls to give the impression that they’re floating. It is a great example of a good kitchen design which strikes a balance between feature and functionality. Quite apart from the fact that a floating kitchen looks great, the main advantage is that you are able to see more floor area, which gives the appearance of a bigger, more spacious room. It also helps streamline the look of the cabinets. The concept of floating kitchens has been popular for some years as part of a modern designer kitchen. If your kitchen is large enough to have an island, floating cabinets can really enhance the look of the room. The units are still supported on pedestals, but they are given the appearance of floating by hiding the pedestal in the middle so it’s out of sight. You can also enhance the illusion that your island is hovering with the clever use of lighting. 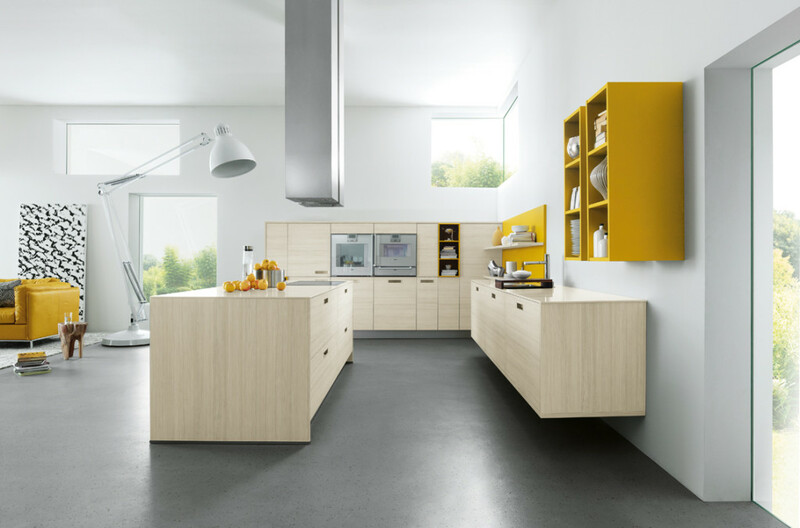 Even though you won’t appear to have as much storage in a floating kitchen, Schüller cupboards and cabinets have inserts, divisions and carousels that are designed to help you make the most of the space. As the floating illusion is created by fixing cupboards to the wall instead of standing them on the floor, your walls will obviously need to be strong enough to take their weight. Our experts can help you with this, advising whether or not you can use your current walls or if you’ll need to build a false wall to hold the weight. If so, we can build this as part of your kitchen installation to ensure that you enjoy your floating kitchen safely for many years to come. If you would like to talk to us about any aspect of kitchen design, come and see us in our Cheshunt kitchen showroom, or contact us via our online form for advice.